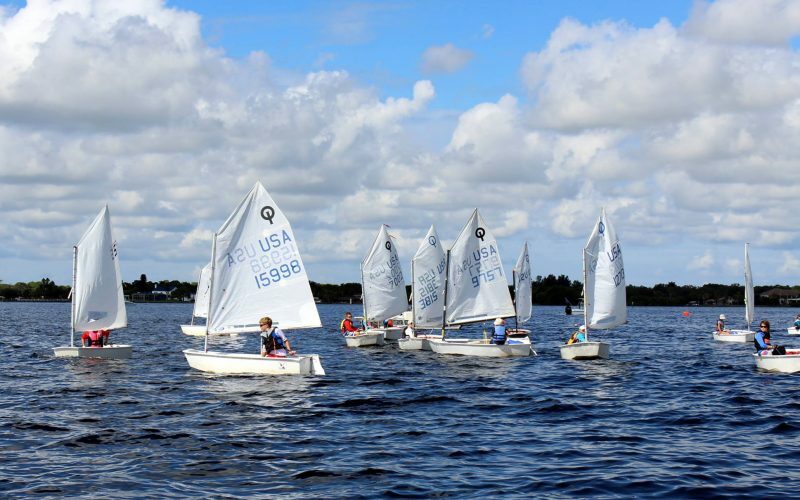 Learn to sail at Edison Sailing Center! 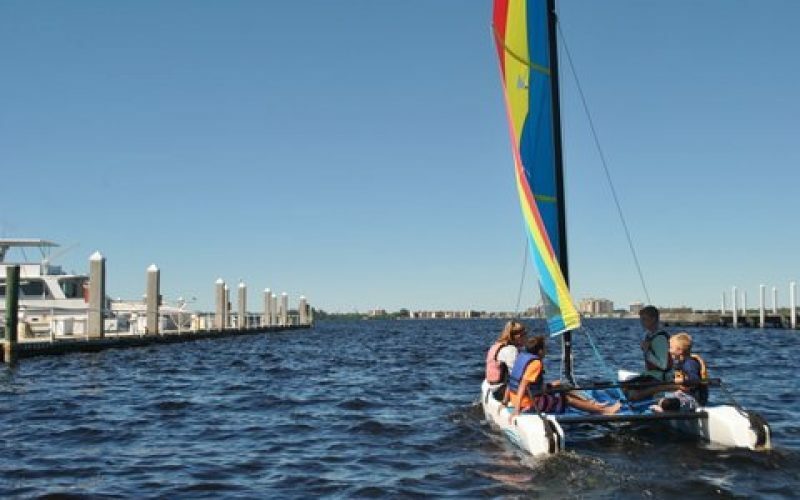 Located in the Caloosahatchee River in North Fort Myers, FL. 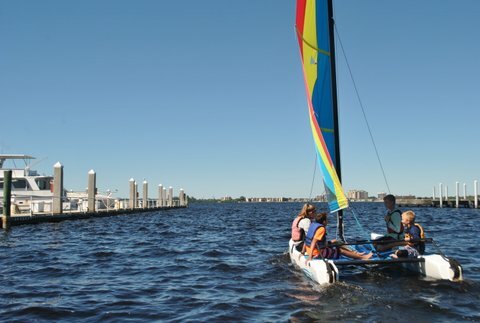 we teach kids in a fun and safe environment! 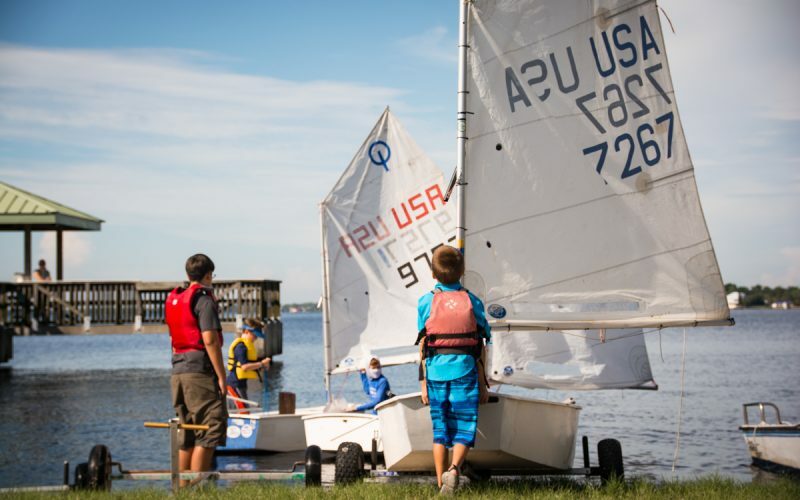 In the classes they will learn handling sails, boat parts, gear, wind, knots and major maneuvers: a turn (turn), to navigate through (perpendicular to the wind), upwind (into the wind), downwind (with the wind) and gibing (turning downwind) – and foremost important- fellowship and teamwork. 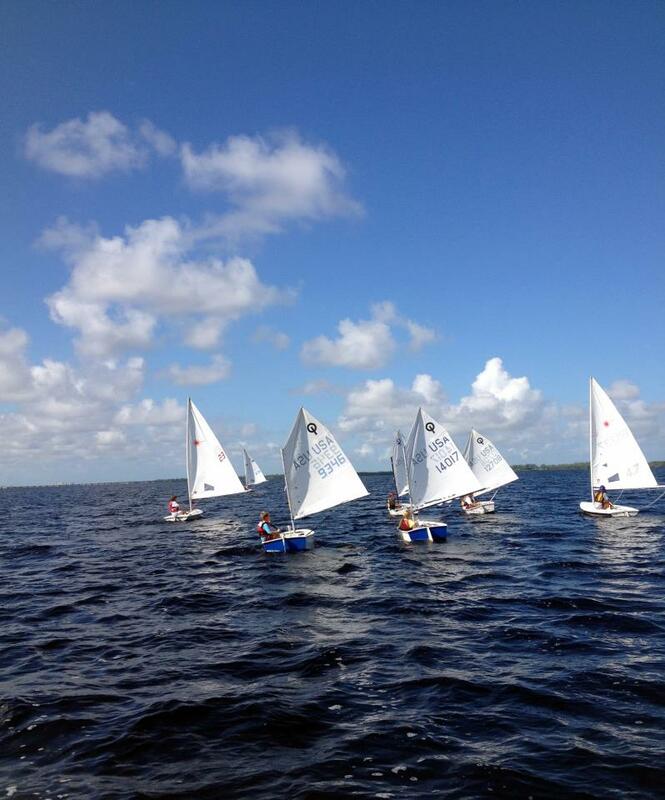 Also among the benefits of this sport, besides stimulating contact with nature, stands the self-assurance. 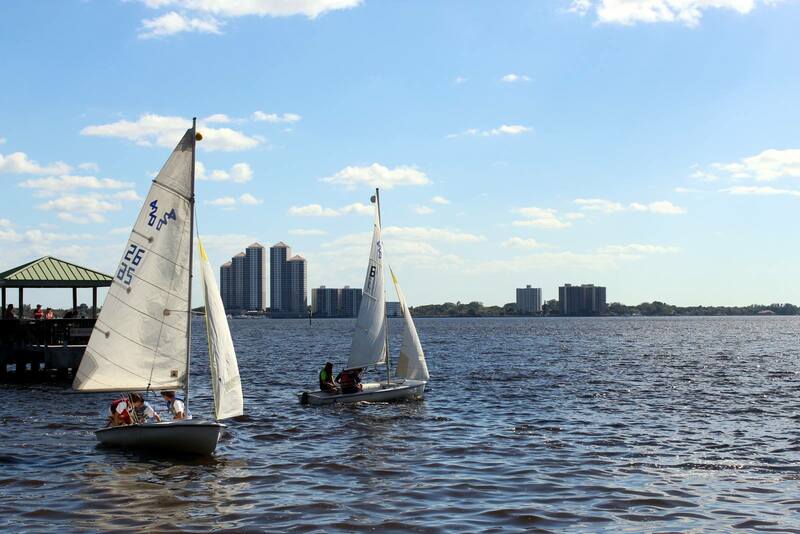 In the water the sailor is the decision maker and is solely responsible. It also helps to motivate yourself to overcome failures. 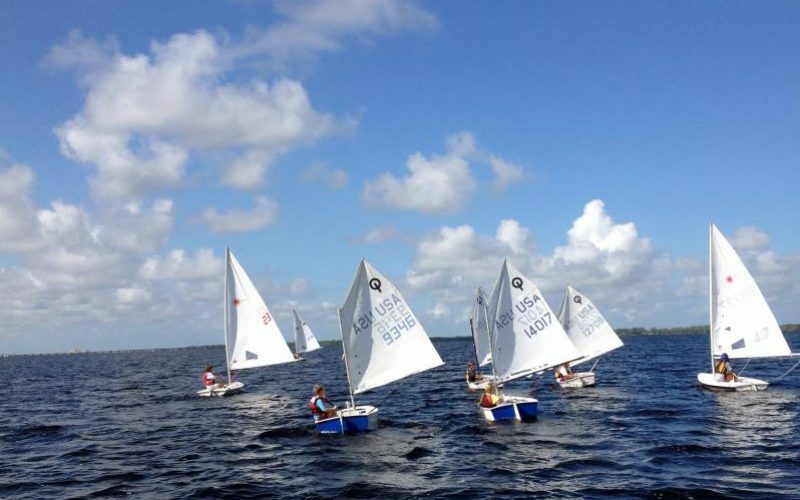 Moreover, sailing is one of the few sports where boys and girls compete on equal terms. Among the sailboats we use more often in our sailing lessons are Optimist, Laser and 420. 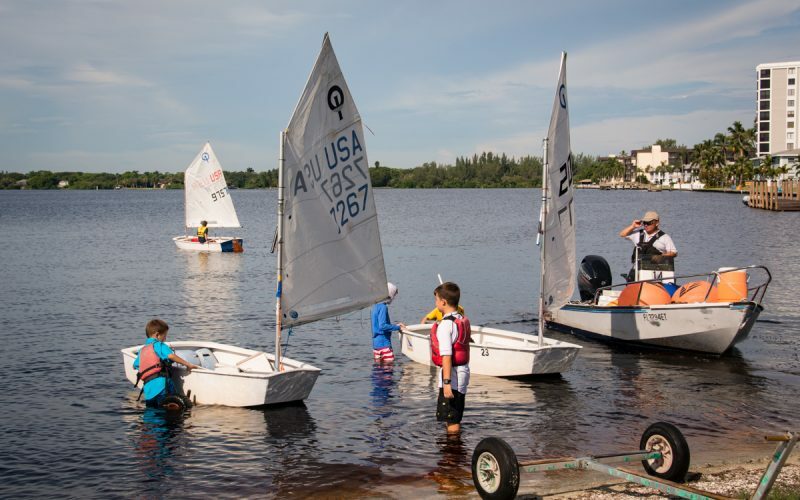 It is during the summer when children can better learn the secrets of sailing. 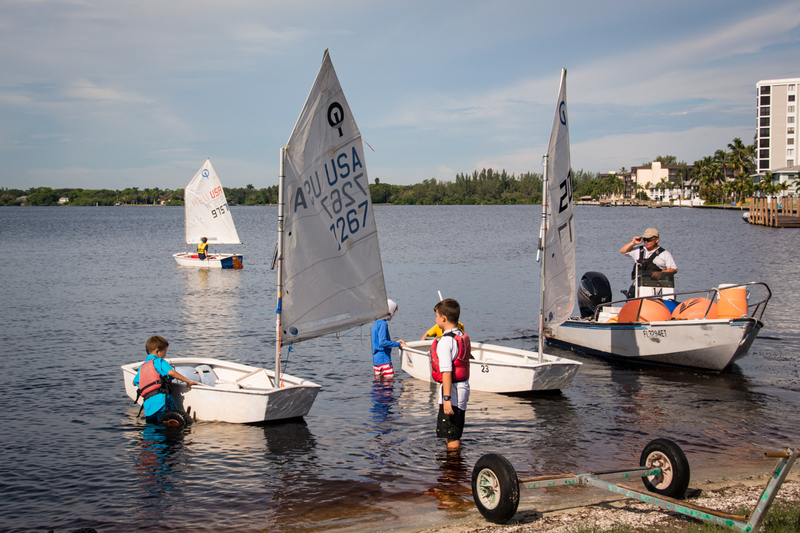 Sign to our newsletter and we will keep you informed about our programs and upcoming courses. 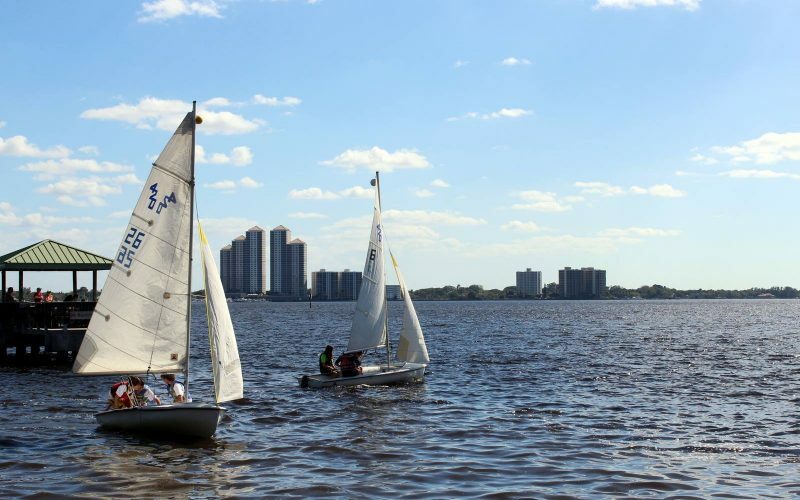 Don’t forget to check our River Romp Regatta page (Our Fort Myers Annual Regatta), You will love it! 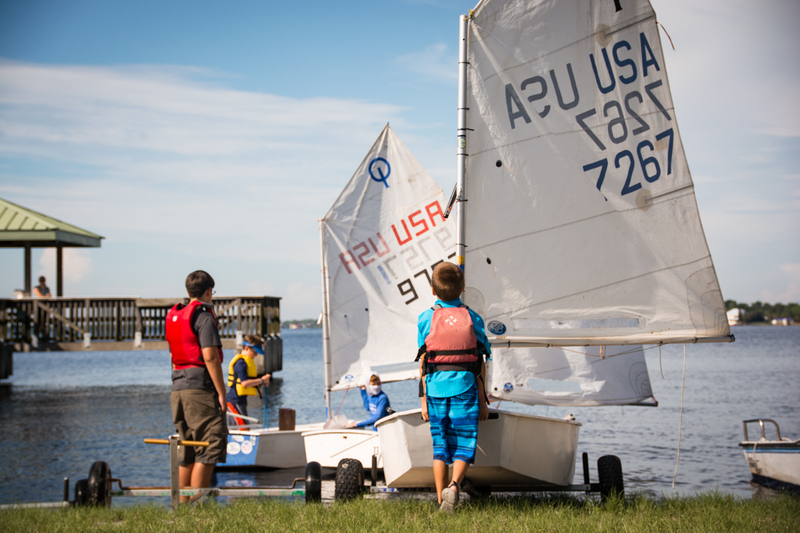 Give a child the opportunity to develop a love for nature and be in contact with our natural surroundings.